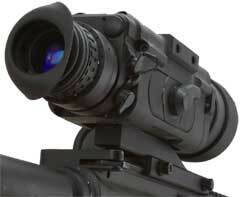 The X26 advanced tactical combat thermal rifle scope is now available. 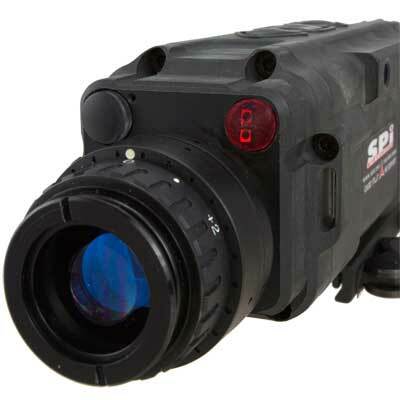 The X26 Thermal weapon sight is a high resolution user friendly scope designed for law enforcement, military and game control applications. 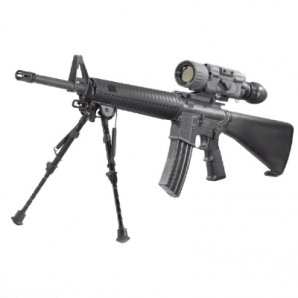 The versatile X26 can be used as a rock solid weapon sighting platform or an ergonomic handheld thermal spotting scope. The X26 Tactical Thermal Scope is the newest thermal weapon sight available that incorporates the latest in advanced weapon sighting technologies. Designed to perform in the most demanding of applications- including military operations, law enforcement scenarios and extreme hunting- the X26 Thermal Weapon Sight is the targeting tool of choice for professionals. 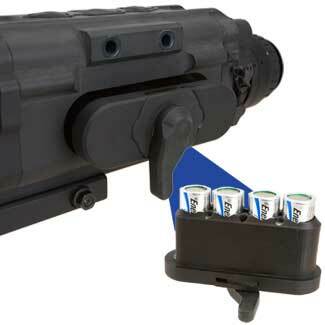 Easily attach standard rails for lasers and accessories. Uses standard CR123 batteries in a quick release cassette. Diopter adjustment mates the unit to your eyes. The future is here now and its more affordable than you think. In today’s uncertain times of world conflict, it has become more important than ever for the good guys to own the night. Traditional starlight type night vision rifle scopes have served their purpose well since the 1970’s but have always been crippled by specific limitations. 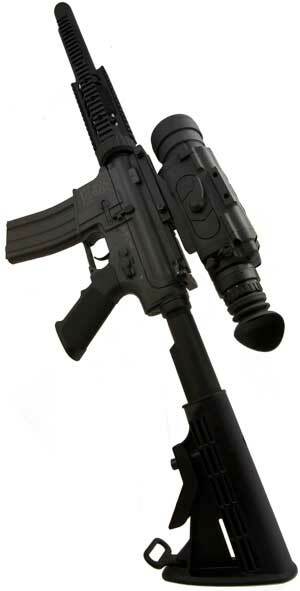 “Starlight” image intensified night vision weapon sights always require some ambient light source in order to operate. 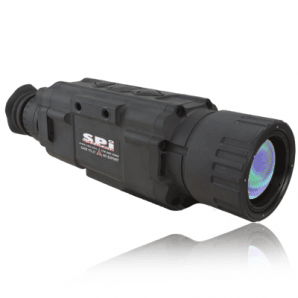 Additionally, these light amplifying scopes are extremely sensitive to external light sources like vehicle headlights, streetlights and building lighting which can cause severe distortion or blooming of images. Obviously, this is not an ideal feature when contemplating a weapon aiming platform. Starlight “sensitivity” also makes this type of night vision completely unusable in daylight or low light situations. The critical nature of weapon sighting demands reliable solutions that are as immune as possible to the variables of lighting and weather conditions. There is no room for error in this most serious of line of work. 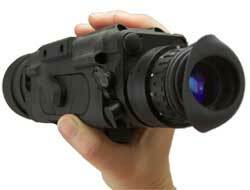 The X26 is the next generation of weapon sighting technology. Thermal rifle scopes require no lighting whatsoever. They do not even “see” light so they are completely immune to stray lighting that can ruin a night vision image. 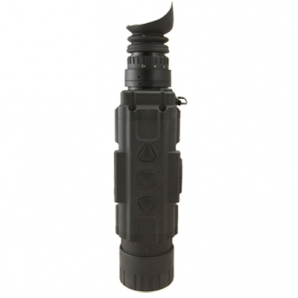 The X26 can also be used in full daylight, which greatly expands its operational usefulness. The X26 provides optimal features for combat or law enforcement operations and is performs excellently in those scenarios. The X26 is also a comfortable handheld spotting scope, which further expands its already impressive capabilities. The choice is clear for any professional involved in night time operations- the X26 is your tool of choice. Unlike existing thermal rifle scope products, the X26 is designed to be equally effective as either a thermal weapon sight or a handheld thermal imager. Great care has been taken to account for handheld ergonomics while never compromising its capability as a rock solid weapon aiming platform. The X26 thermal weapon wight features a unique positive locking tool-less base that is designed to quickly mount and dismount to standard Picatinny rails. The cam lock set screws can easily be manipulated with or without gloves for operational functionality in any scenario. Once locked the base holds tight for maximum zero retention. The X26 weapon sight is equipped with two mounting points on either side of the scope for attaching a variety of accessories to suit your specific mission profile. 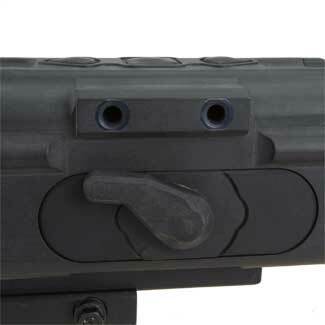 Standard Picatinny rails can be attached to these points allowing for easy placement of lasers, white lights, optical sights, etc. A true combat thermal scope, the X26 has an integrated proximity sensor so that the eyepiece automatically turns off when you move your eye away. This feature is crucial to ensuring that no stray light from the eyepiece will give away your position. When you put your eye back up to the unit the eyepiece instantly turns back on for uninterrupted targeting. The X26 operates on standard CR123 batteries. The one handed quick release lever and battery cassette makes changing batteries easy even while wearing gloves or in the dark of night. 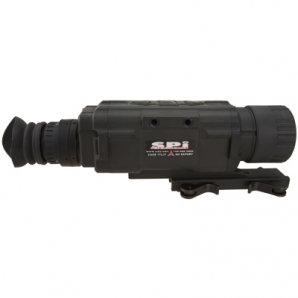 The X26 infrared rifle scope offers the user several external connection interfaces for your convenience. These include cables for providing the scope external power and for video output to a monitor or recording device. The X26 uses a battle proven military eyepiece with easy to use diopter adjustments. 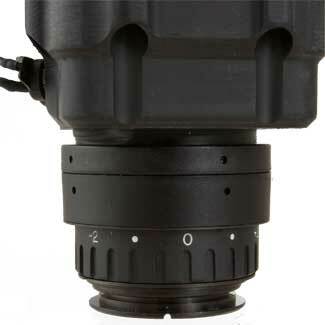 The diopter gives you a full -6 to +2 adjustment range which allows you to adapt the scope to any users eyesight. 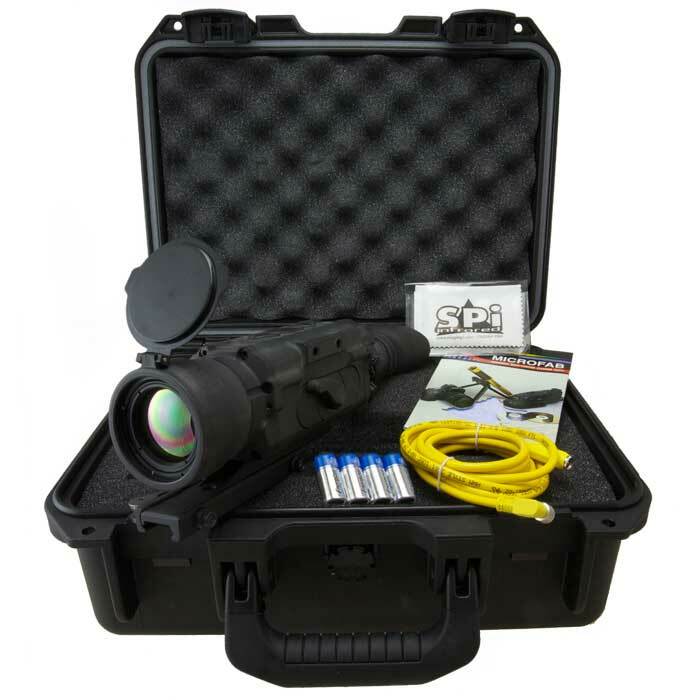 X26 thermal scope is equipped with a simple command menu structure so that all functions of the scope are accessible via a three button configuration. The buttons are oversized and uniquely shaped for use in the dark or with gloves on.